LAKE HARTWELL South Carolina—(Weekly Hubris)—February 2019—One of the things I really love about the Gospel of Luke is that it is a “Book of the Holy Spirit.” Like both Mark and John, Luke begins his story of Jesus with John the Baptist. Luke tells us that, “even before his birth, [John] will be filled with the Holy Spirit.” Luke doesn’t even get through Chapter 1 without telling us that the Holy Spirit will inhabit not only John in the womb, but also Mary, Elizabeth and, finally John’s father, Zechariah. In Chapter 2, the Holy Spirit rests on the old man, Simeon and, finally, in Chapter 3, the Holy Spirit descends upon Jesus as he emerges from the river Jordan. 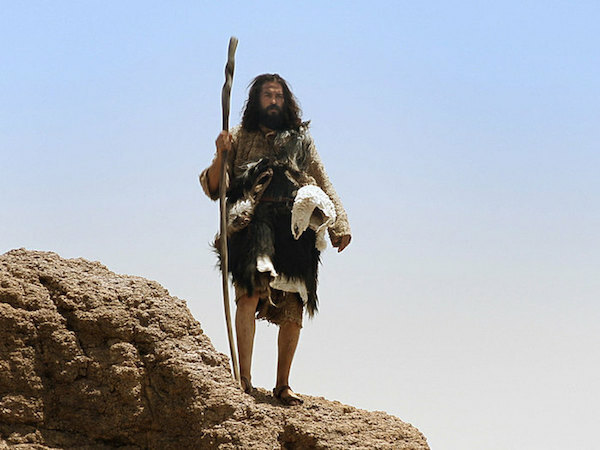 One of the things I really loathe about the Gospel of Luke is the author’s depiction of John the Baptist. Luke’s John is one of those fire-and-brimstone kinds of preachers, on a tirade about judgement and wrath, severing fruitless trees with an ax, and throwing the dead wood into a bonfire. Doesn’t really sound like Good News. Not very comforting, is it? Certainly, not for those who anticipate the winnowing fork. The scholars who assemble the Revised Common Lectionary for one reason or another, exclude from our reading for today the verses about Herod imprisoning. 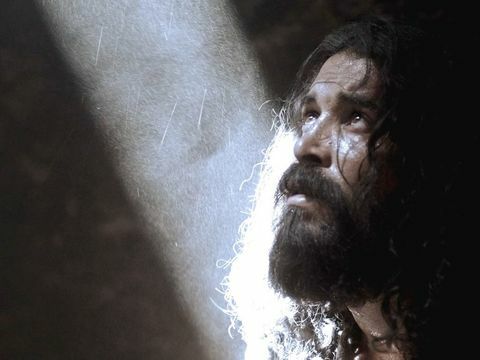 Although it is not part of our reading, I find it intriguing that before we even get to the scene where Jesus is baptized, Luke tells us that Herod was offended or, perhaps, frightened enough by John to have him thrown into prison. 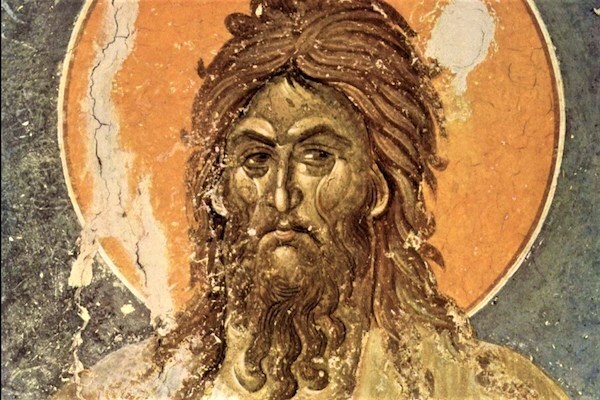 So, on the one hand, we have this wild-eyed, larger-than-life, intrusive, disruptive prophet in John the Baptist, pointing his boney finger toward a powerful, vengeful, ax-wielding Messiah . . . juxtaposed with the One who has waded into the water amidst the crowds, then surfaced in hushed prayer, the Dove of the Holy Spirit on his dripping head. As only Luke tells it, the Dove comes to Jesus in analog form. Yonah, the Ancient Hebrew word for dove, was used to identify and represent the Divine. The graceful and gentle dove was known to the ancient Near East and Mediterranean world as a mother Goddess, a symbol of female beauty and sacrifice. Doves were required for women making a cleansing sacrifice at the Temple. 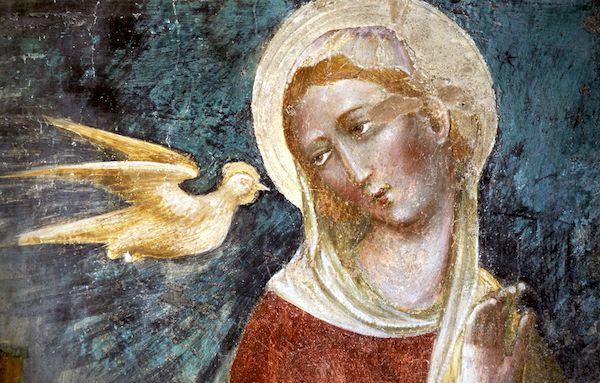 Doves can literally breed every month and begin to lay eggs at 2 months of age, so perhaps it is not surprising that the dove was a symbol of feminine fertility and procreation and a representation of the Canaanite goddess Asherah. It is believed that in Israelite folk religion of the monarchal period, Asherah functioned as a goddess and consort of Yahweh and was worshiped as the Queen of Heaven. In the first creation story in Genesis, the spirit hovers over the water like a dove. The flood story, also in Genesis, depicts the olive-branch-carrying dove as a symbol of post-wrath reconciliation, the promise of a new creation. When Jesus is baptized, the heavens break open, and the symbol of abundant life, fecundity, and regeneration enters the narrative, from a higher plane, heralding God’s new way of working in the world. The heightened activity of the Holy Spirt in Luke’s gospel is unquestionably significant. Despite the portrayal of wild-eyed John, it seems clear that Luke himself is less concerned with end-of-the-world apocalyptic imagery than he is focused on the newness that is undeniably coming. The parable I am about to tell you this morning is a compilation of seemingly disparate threads: a song by the great storyteller Harry Chapin; an experience I had with a church parishioner in Delaware; and what I know to be true from the deep wells of scripture. One Sunday morning, as I stood leading worship in a charming and historic church in Dover, I noticed a man sitting in the very back pew. He was as close to the door as he could get without being outside the sanctuary and in the vestibule. Something about him made me uneasy. When he stood for the singing of a hymn, I could see he was very tall . . . perhaps seven feet tall. His clothes didn’t fit quite right. The cuffs on the sleeves of his flannel shirt were nearly at his elbows. His tattered blue jeans were high waters, and I could see his grayish, originally white, elastic-less athletic socks draped around his ankles. He was an old man, with long unkempt hair and a bedraggled beard. After worship, as I greeted folks at the back door, he introduced himself as, and I kid you not, John Crist. C-R-I-S-T. I could tell by his affect that he was probably suffering from mental illness (I later learned it was Schizophrenia). His eyes were so black that I could barely distinguish his pupils from his irises. His height was not quite seven feet, but his presence was nonetheless thunderous. As I watched him walk away from me and down the sidewalk, he reminded me of Sasquatch, or Big Foot, his long arms swinging from side to side, his head resting forward on hunched shoulders. After our initial meeting, John became a regular on Sunday mornings, and frequently showed up during the week. If the coffee were made, he found it. Those were the bad old days of Styrofoam, and John would grip his cup so tightly that the coffee overflowed. I always knew when John was in the building because I could follow his trail of spilled coffee up and down the hallways. Wild-eyed, larger than life, intrusive . 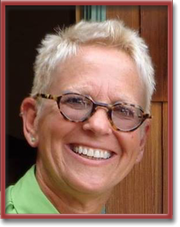 . .
At the simple graveside service, there were three of us present: the funeral director, the cemetery worker, and the pastor, offering up her gratitude for the man who was John Crist. I gave thanksgiving for his life, for his stories, and then ended with a prayer. I will never forget the sight of the plain pine box being lowered into the ground. Robin, I am in awe. This is a parable – despite its veracity – worthy of your Boss. Thank you, for the story, for the lesson, and for being the person Mr Crist could trust. Wonderful. One of the most gratifying aspects of my years in the church is the opportunities I have had to meet and get to know souls like John Crist. We have so much to learn from those who live in the margins. Surely I am a better person because of their presence in my life. Thank you, Jean and Sharon, for your comments. Just beautiful, thank you! I’m always in awe when life surpasses our dreams and fantasies. Thank you, Jerry. I have found that where we look for the moments of grace in life and where we find them are two entirely different things.